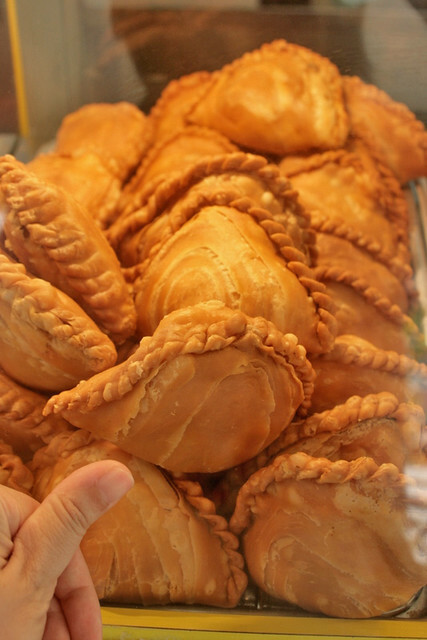 Big, flaky crust curry puffs! What if you were craving one at 3am? Well if you live in Jurong, you might be in luck. 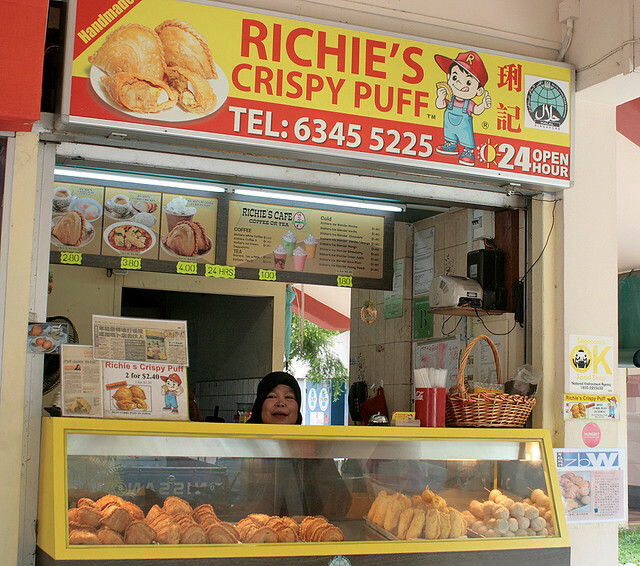 Richie's Crispy Puff is open 24 hours. Take your pick from their flavours - curry chicken, sardine, lemon tuna, Thai spicy crab, mutton curry, black pepper chicken/beef, vegetarian curry and even durian puffs! Julia and I chanced upon them while heading to Joo Siah Bak Kut Teh, and decided to try a couple (S$2.40 for two). The chicken curry one is pleasant but rather mild. The sardine one was fiercely spicy by comparison. The kind that comes from too much chili powder, I think. 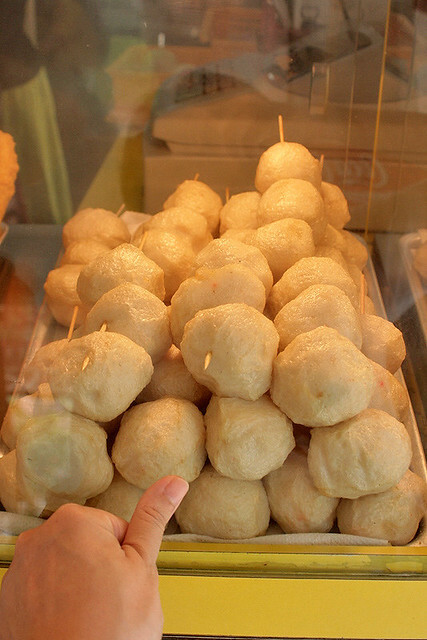 They also have other fried snacks, like these huge fish balls. The puffs are handmade, and you can see the friendly makciks in the kitchen making them. I wish I could try the other flavours as well, but we had many other things to eat on our agenda that day as part of our Western food trail. Looks like they have some breakfast sets, as well as ice blended drinks to go with the puffs. You can actually sit down and eat at the few tables and chairs just in front of the shop. 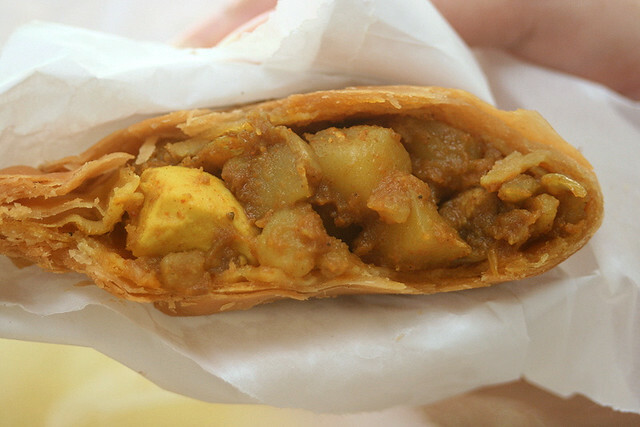 I go commonwealth buy curry puff often, will tell you the address when i visit them again. wow.. wats the opening hours? Dory: They are open 24 hours, and that's probably their highlight. That and the friendly service. Anonymous: Hey thanks for the address!